Mastering content strategy, creation, and distribution for your brand on social media is a difficult and long process. But, in an effort to provide you guys with as much value as possible, I’m going to help speed up that process and show you how I do it on a daily basis for my personal brand. My content strategy is predicated on a “reverse pyramid” model. It starts with a piece of “pillar content.” With my personal brand, it takes the form of a daily vlog, keynote, Q&A show, or another video that I do. Since I start from video, my team is able to repurpose that one piece of content into dozens of smaller pieces of content, contextual to the platforms that we distribute them to. This could take many different forms — for example, if you’re not comfortable on video, you could record a podcast. You might even film yourself recording the podcast so you could have a video out of it as well. And from that video or audio clip, you can create content for Instagram, Twitter, Facebook, LinkedIn, and more. Personally, I create a ton of content. I publish a new episode everyday on the GaryVee Video Experience, which is distributed on my YouTube channel, Facebook Watch Page, and IGTV. I then also have a daily podcast called the GaryVee Audio Experience, which is distributed on my iTunes, Overcast, and Stitcher, amongst some other platforms. In addition to what I just mentioned, I continually post “micro content”, that is distributed to my Instagram, Snapchat, LinkedIn, Quora, and many of my other social channels. “Micro content” is created from each episode and is used to drive awareness back to the original long-form content. Long story short, I am constantly creating and posting as much content as possible and in a way that is contextual to each platform. Because I am producing so much content on a daily basis and in a way that has been proven to be very effective, I want to give you guys the full breakdown and analysis on what it is that I’m doing and how I am doing it. Like one of my favorite quotes, “watch what I do, not what I say“, this is a really good time for you to sit down, grab a cup of coffee, and carefully take note of what it is that I’m doing in this deck. Think about how it can be applied to your personal brand, your B2C product, or your B2B marketing strategy. Shared below is a powerpoint that my team and I created to help empower and potentially completely shift the way that you think about producing and distributing content online for your brand. The ultimate goal of creating this presentation on my content model is to show you how my team took one of my keynotes, repurposed it into 30+ pieces of content, and then successfully distributed all of that content, resulting in over 35,000,000 total views. I’m very proud of this deck and sincerely hope that it brings you, your team, or your company some serious value. 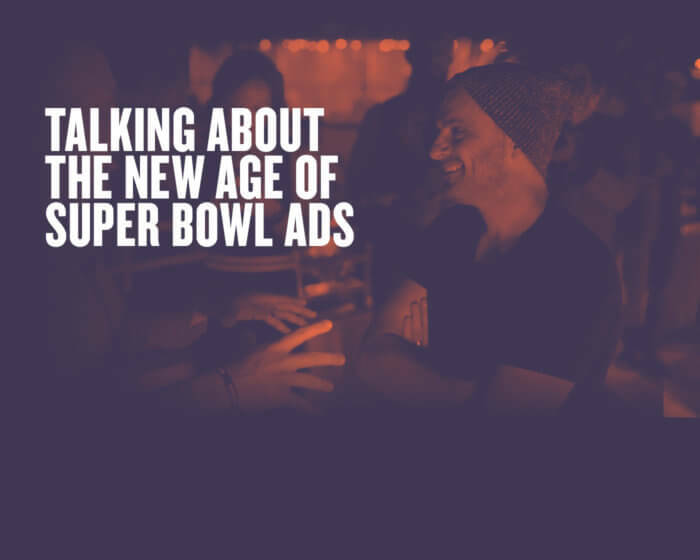 Super Bowl commercials are incredibly underpriced - even at a $5 million+ price tag, they should cost way more than they do in 2019.